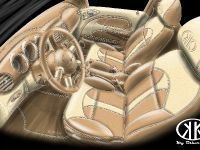 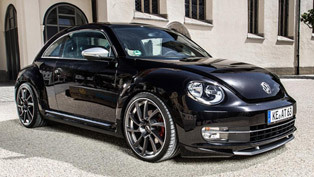 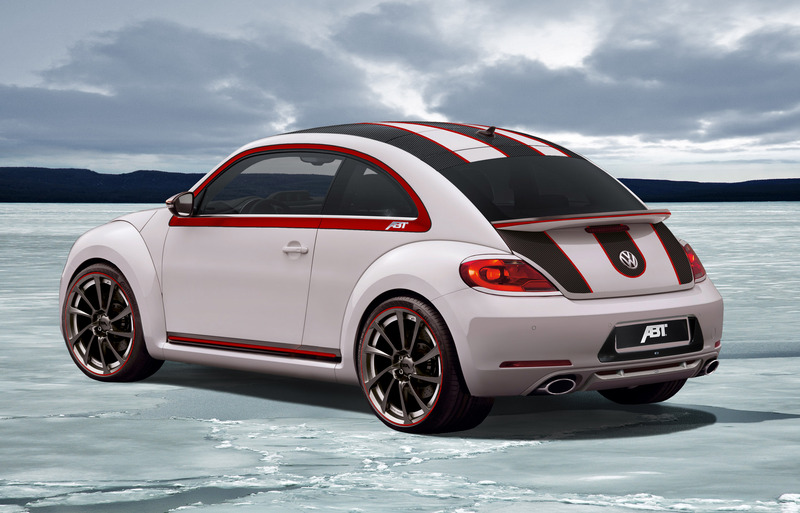 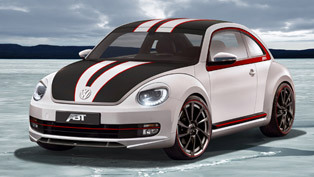 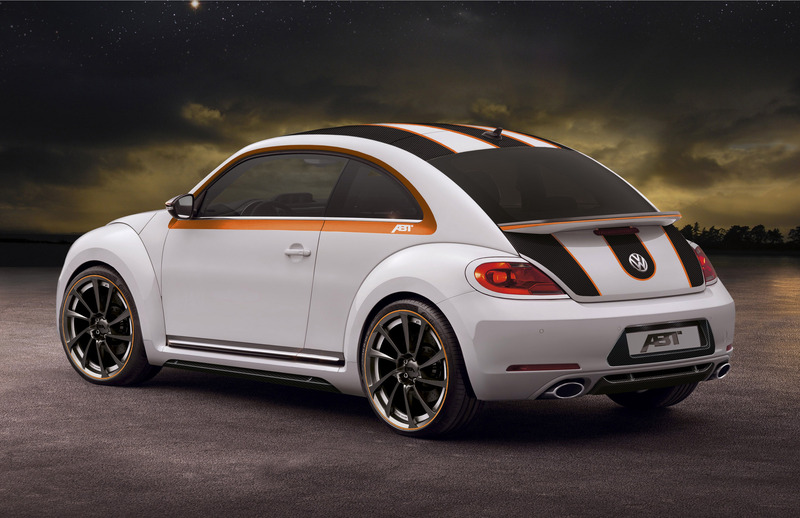 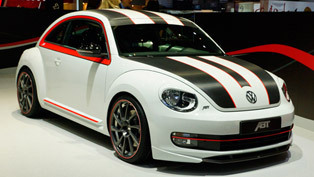 ABT has introduced a styling and a performance packages for the latest 2012 Beetle. 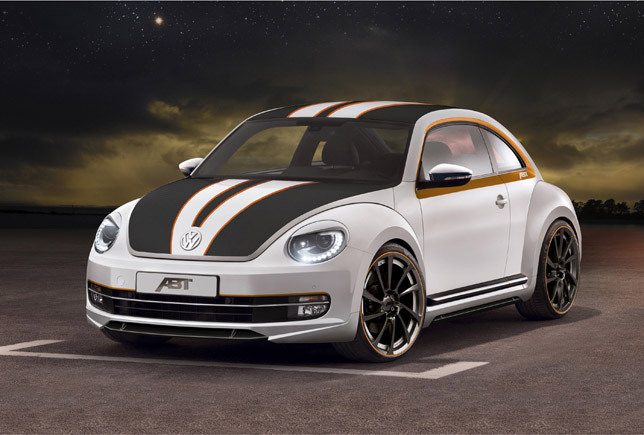 Still, these are just two renderings, but the car will look exactly the same. 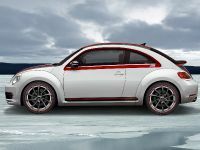 There will be performance mods for the 1.2TSI boosted to 140PS (103 kW), the 1.4TSI will have 210PS (154 kW) and the top-of-range 2.0TFSI will have 240PS (176 kW). 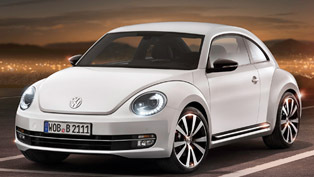 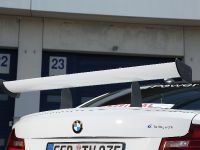 The 1.6TDI will gain additional 20PS (15 kW) and the bigger 2.0TDI will have 170PS (125 kW), instead of 140PS (103 kW). 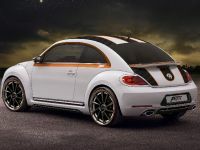 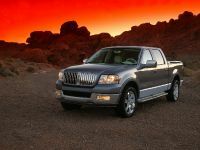 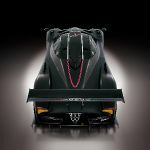 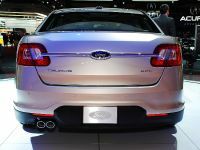 The styling package consists of a new front bumper, a rear diffuser with oval exhaust pipes and a pair of side skirts. 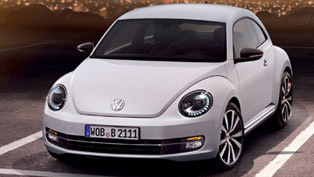 There will be also headlight brows and some nice graphics. 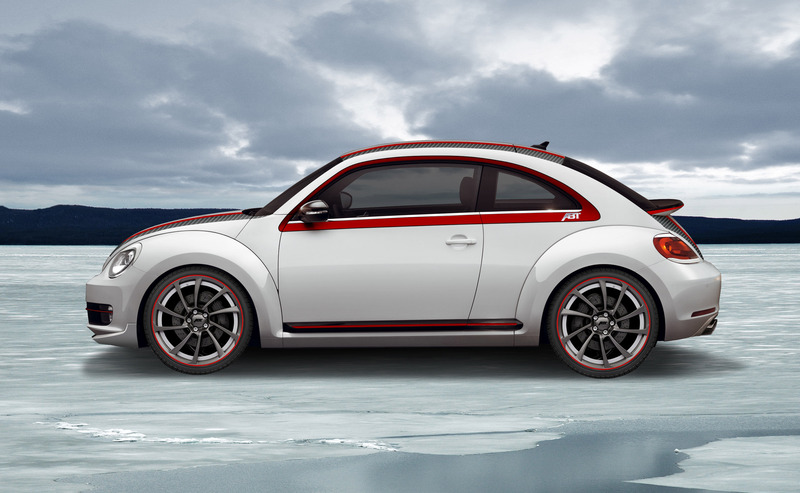 The stance is improved by installing a set of lowering springs. 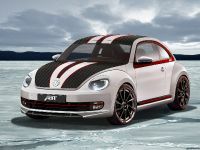 The car stands on Abt DR wheels fitted with low profile tires. 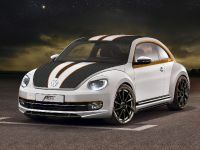 Everything is good, but still we think that the modified Beetle looks rather sad, mainly because of the ridiculous headlight brows. 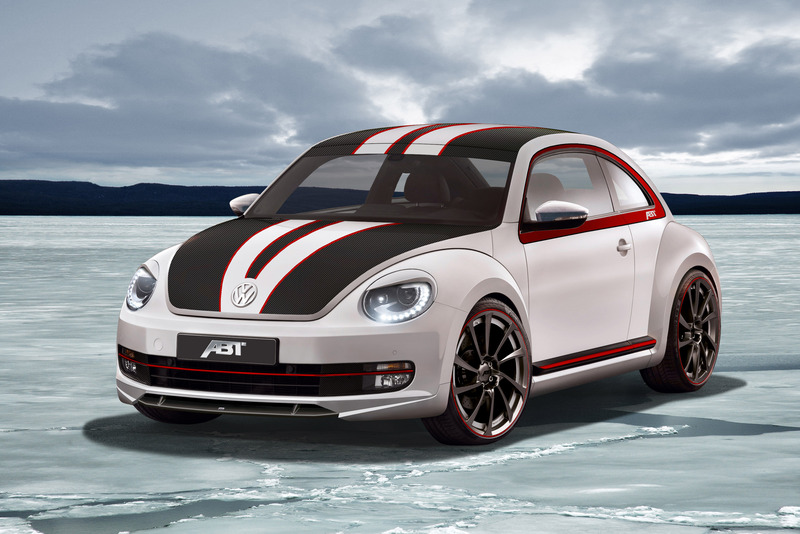 We hope that ABT will reconsider some touches and make the small city car better.